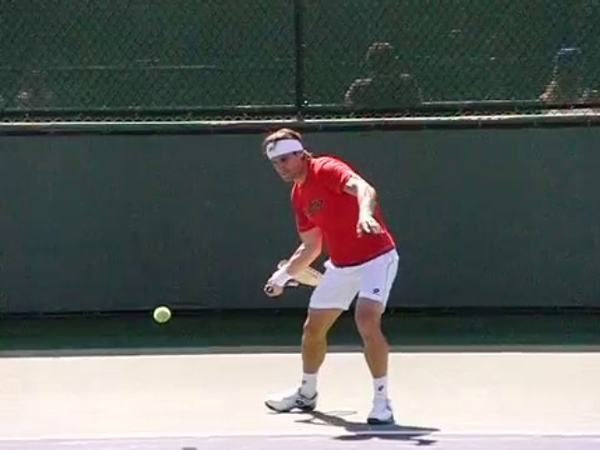 The key points of the forward swing are critical as they set up a consistent forehand that can be hit with power. 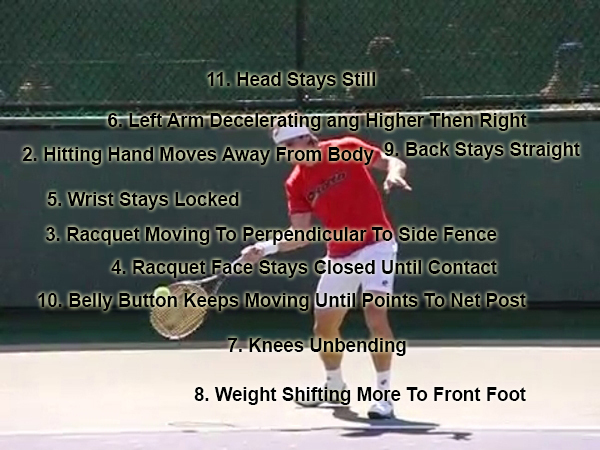 Of the 11 key points of the forward swing the pro’s do almost all of them every single time. The key point of shifting the weight onto the front foot is probably the one key point that is done the least. The reason for this is simple. 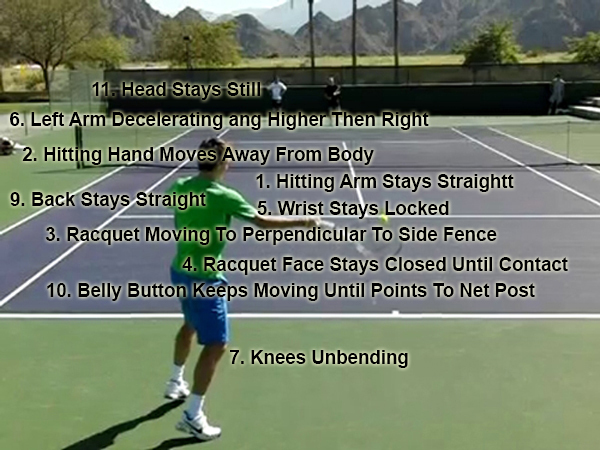 Tennis points are dynamic, not static. 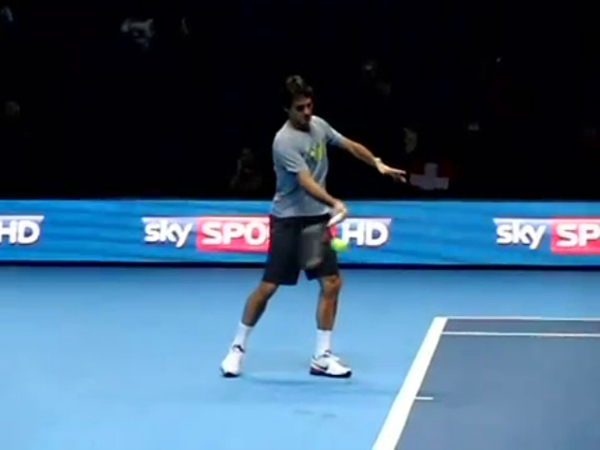 Because of this the incoming ball will be in a different area and at a different speed every single time. This tends to make the player have to make lots of adjustments to hit the ball, especially at the fast speeds of the pro game. Not shifting the weight is the easiest way to adjust while keeping the swing pattern the same every single time. 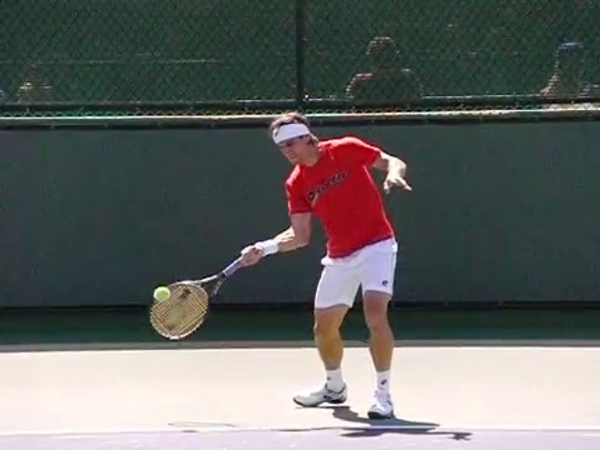 The first example is Thomas Berdych. The only key point he doesn’t do in the below example is transfer the weight onto the front foot. He keeps the weight mostly on the back foot. This is happening mainly because he is stepping a little later then usual. 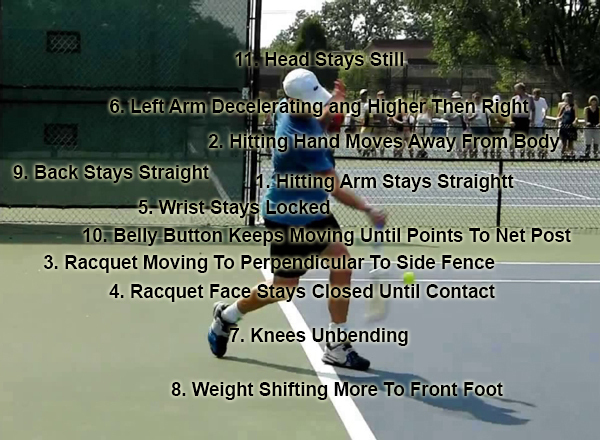 Hover over the first image to see his forward swing. 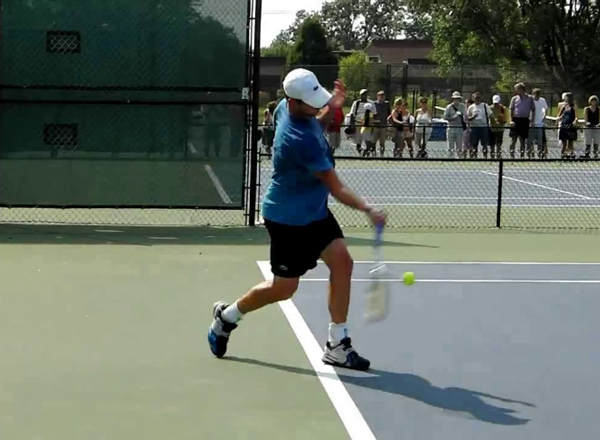 The second image shows the forward swing highlighted. Hover over it to see the key points. The next example is Li Na. Li does 10 of the 11 key points. The one she doesn;t do is stop the belly button when it gets to the net post. She rotates her belly button past the net post. Even though she does this she will still decelerate her shoulders and hips before the contact point, she just goes a little further with the rotation before decelerating. Hover over the first image to see her forward swing. 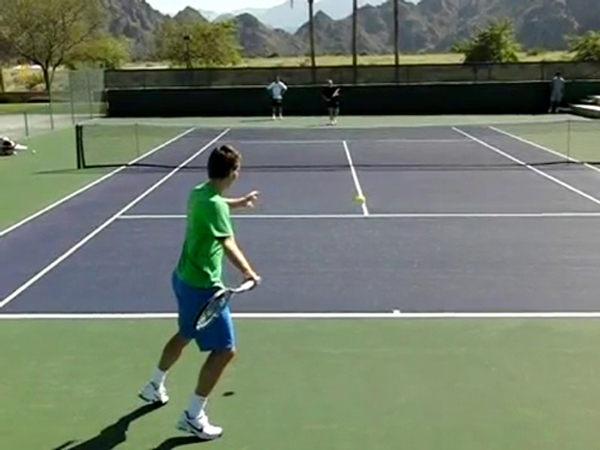 Roger Federer Hover over the first image to see his forward swing. 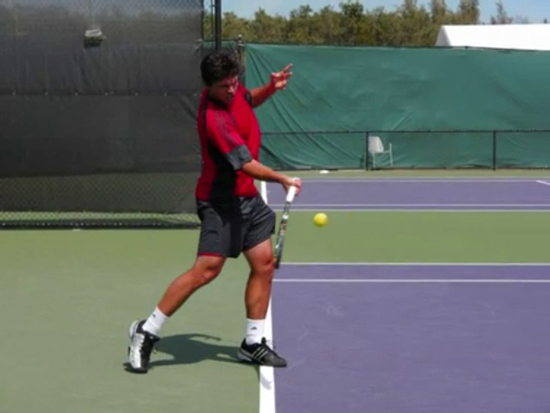 David Ferrer – Hover over the first image to see his forward swing. 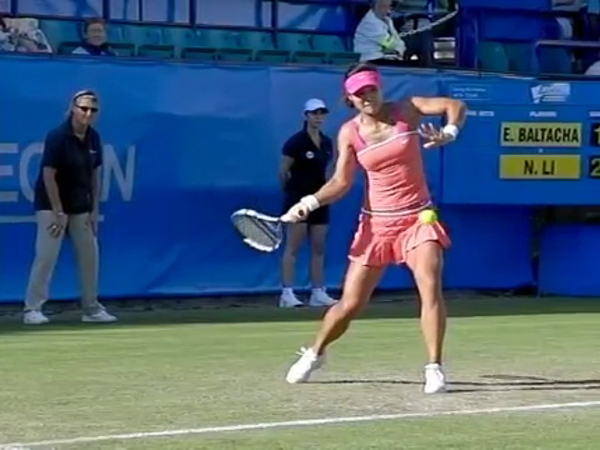 Caroline Wozniaki Hover over the first image to see his forward swing. Andy Roddick – Hover over the first image to see his forward swing.